Join the RHBC Chamber for its August Business After Hours. Informal networking, food, drinks and great door prizes. 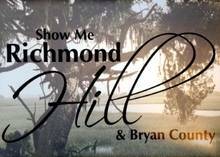 Hosted by the Bryan County Library - Richmond Hill and Friends of the Richmond Hill Library.